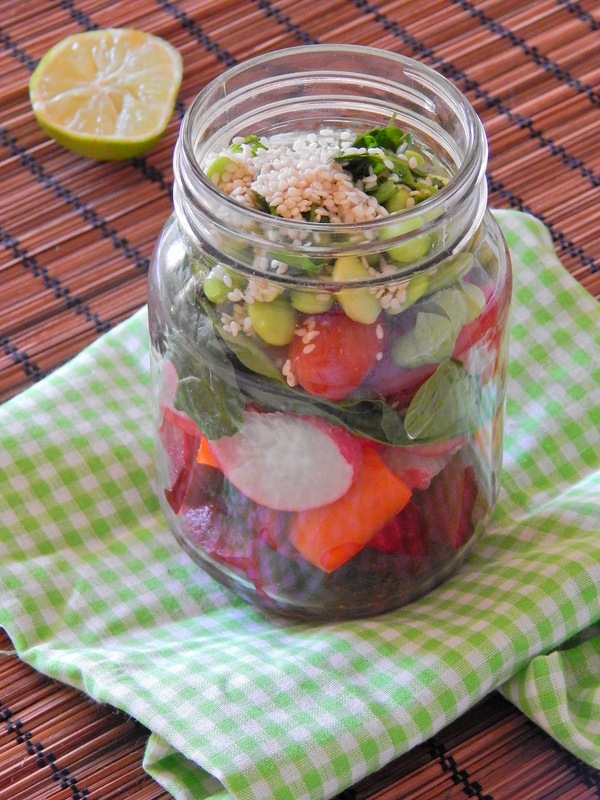 You only have to scroll through Instagram to see an array of colourful jar salads. Not only do they look beautiful, but the concept actually works. When you pack up a salad for lunch, often you’re greeted with limp leaves and a leaky dressing. Let me introduce the concept of a jar salad: place the dressing and moist ingredients at the bottom of the jar, working up with drier ingredients and delicate leaves. Then, when you’re ready to lunch- simply shake the jar to combine the dressing. So this salad has lime juice and beetroot at the bottom, sweetbite peppers, tomatoes, radishes, coriander, baby spinach leaves, edamame beans and sesame seeds- perfectly placed so the delicate leaves won’t go limp with the dressing. The simple and fresh flavour combinations in this salad are my favourite; perfect for a midday pick me up. Refreshing and vibrant, with delicious textures throughout. Stock up on jars, which you can pick up in most homeware shops. 1. Place the lime juice and chopped beetroots at the bottom of the jar. Build up the next layers of peppers, tomatoes, radishes and coriander, using the back of a spoon to gently flatten each layer. 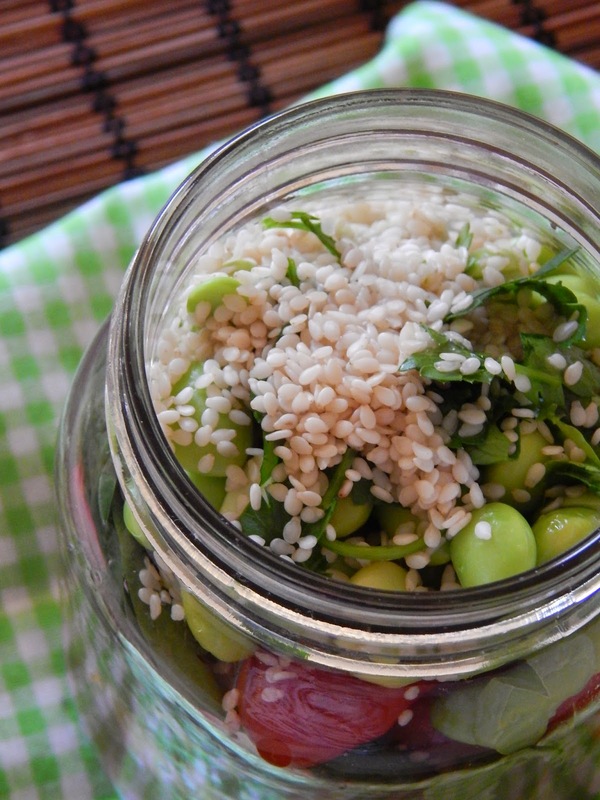 Then add in the spinach leaves and edamame beans, topping with a sprinkle of sesame seeds. Place on the jar lid and keep chilled until you’re ready to eat.